Even if you can't, you can still substantially reduce your risk of heart attack and stroke through lifestyle changes and certain medications. In your 20s, maybe you sometimes chose fast-food burgers and fries over healthier foods. Perhaps in the decades that followed you pursued a series of fad diets, questionable lifestyle choices, and too many days when you skipped your workout in favor of the couch. You're now repenting for the sins of the past, but the question is, can you undo the damage? Can you unclog clogged arteries (otherwise known as atherosclerosis) and reduce your risk of heart disease in the process? The answer is a little complicated, says Dr. JoAnn E. Manson, professor of medicine and the Michael and Lee Bell Professor of Women's Health at Harvard Medical School. "Some studies suggest that regression of atherosclerosis is possible," she says. These include studies that looked at the effects of diet as well as intensive lifestyle modifications and use of medications. While this may give you a glimmer of hope that you can reverse some of the harm you did to your arteries in your younger years, there is a caveat. The same studies also show that making the types of changes required to reverse the clogging in your arteries is more challenging than many people can achieve, says Dr. Manson. So, while improvement is theoretically possible, realistically it may not be the best place to focus your efforts. The goal should be to halt the development or progression of atherosclerosis, says Dr. Manson, and also to prevent its consequences, heart attack or stroke. "There is compelling evidence that lifestyle modifications, and medications, as needed, can reduce your risk factors," she says. With the right interventions, you can reduce your risk of developing heart disease by as much as 80%. "It's a highly preventable disease," says Manson. So how can you do this? Through tried-and-true strategies, which you've no doubt heard about many times before. Watch what you eat. A healthful diet is one of the best ways to ward off cardiovascular disease. The Mediterranean diet, high in vegetables, healthy fats, nuts, and fish, has been linked to a reduction in cardiovascular disease, but it's not the only one. "The DASH [Dietary Approaches to Stop Hypertension] diet and several other dietary approaches also are effective," says Dr. Manson. Talk to your doctor about options that might be right for you. Lower your cholesterol. Keeping your cholesterol in check starts by knowing your numbers. If your cholesterol is high, it's worth considering taking action, whether that includes making dietary changes or taking a statin or other medication. "Although statins have been linked to an increased risk of diabetes, there's strong evidence that they're effective in reducing heart attack and stroke risk in women and men," says Dr. Manson. Your doctor can help you weigh the risks versus benefits of statins for managing your condition. "You shouldn't shy away from use of statins if your doctor recommends them," she adds. Control your blood pressure. The American College of Cardiology and American Heart Association recently revamped their joint guidelines regarding blood pressure, essentially lowering the definition for high blood pressure to 130/80 from 140/90 (see "The new blood pressure guidelines at a glance"). So, what does that mean for you? If your blood pressure is under 140/90 but meets the new definition for high blood pressure, it doesn't necessarily mean you need to go on medication. What it does mean is that you should be even more vigilant about being physically active and making lifestyle modifications, says Dr. Manson. "It's a warning sign that you need to pay attention to," she says. "There's a relationship between even moderate increases in blood pressure and increased risk of heart disease and stroke." Consider aspirin therapy. It's also a good idea to ask your doctor if you are a candidate for low-dose aspirin therapy. In addition to its benefits after a heart attack or stroke, low-dose aspirin may help prevent cardiovascular disease in adults ages 50 to 69 who have a 10% or greater risk of developing cardiovascular disease in the next 10 years (provided there are no specific reasons not to take it). A free iPhone app called Aspirin Guide, designed by Dr. Manson and her colleagues at Harvard-affiliated Brigham and Women's Hospital, can help determine whether you might benefit from talking with your doctor about starting a low-dose aspirin regimen. You can find it at Apple's App store, Google Play, or the website www.aspiringuide.com. Control your weight and be physically active. Other ways to reduce your cardiovascular risks are to maintain a healthy weight and be physically active. Those two steps will also lower your risk of type 2 diabetes. Diabetes is a major risk factor for heart disease, so prevention should be a top priority. Quit smoking. You've heard it before, but it bears repeating. If you smoke, take steps to quit now. The bottom line: Even if you've been less than virtuous when it comes to your health habits in the past, now is the time to start working toward a better future. 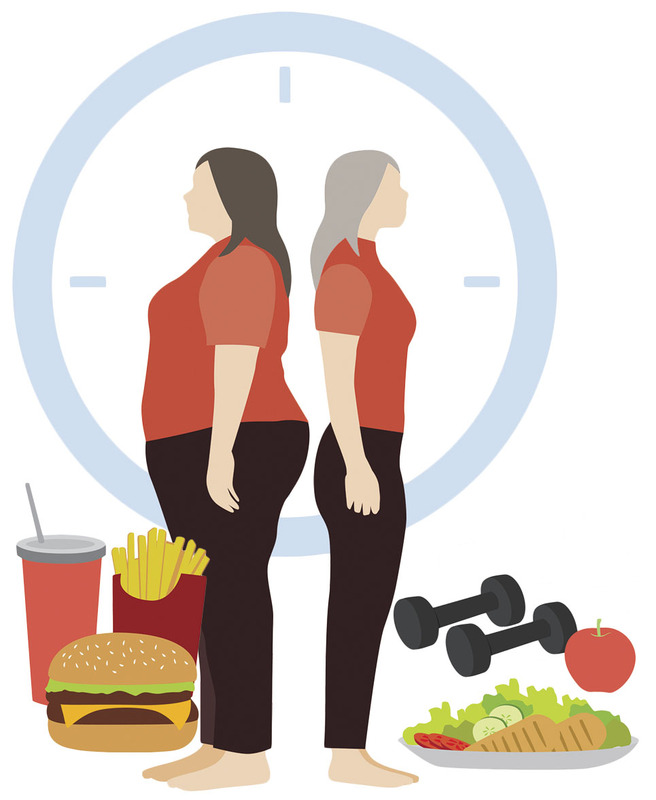 "It's never too late to make lifestyle modifications. It's never too late to quit smoking or to become physically active," says Dr. Manson. You might not be able to become a marathon runner, but with lifestyle changes you can make a decent sprint toward better cardiovascular health. hypertensive crisis: systolic pressure over 180 or diastolic pressure over 120, with patients needing prompt changes in medication if there are no other indications of problems, or immediate hospitalization if there are signs of organ damage. As a result of these changes, it's expected that the number of people classified as having high blood pressure in the United States will increase fairly dramatically — the label will apply to three times as many men under 45 and twice as many women under 45, according to the ACC and AHA. But it's not expected to substantially increase the number of people taking medicine to control high blood pressure, because people with blood pressure with what is now defined as stage 1 hypertension are primarily advised to take steps to reduce their blood pressure through lifestyle changes. Is summer heat putting you at risk?